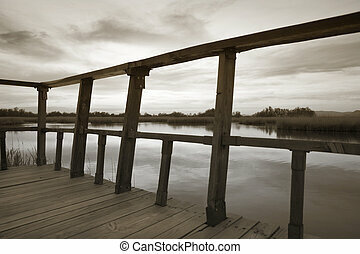 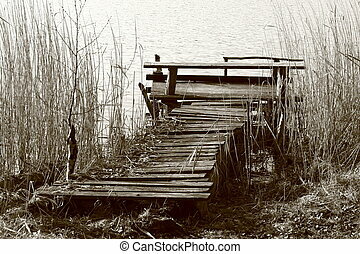 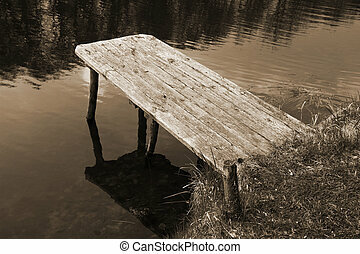 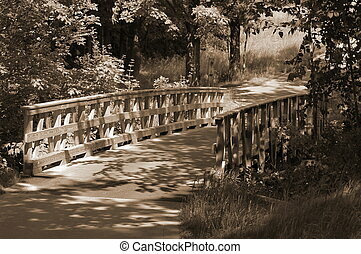 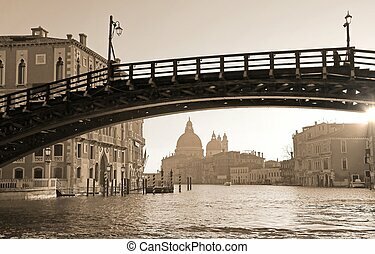 Sepia wooden bridge. 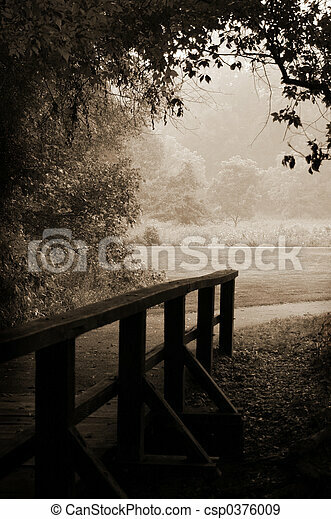 A small wooden footbridge leads out of the dark woods and into the light of a meadow. 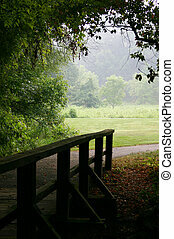 A small wooden footbridge leads out of the dark woods and into the light of a meadow. 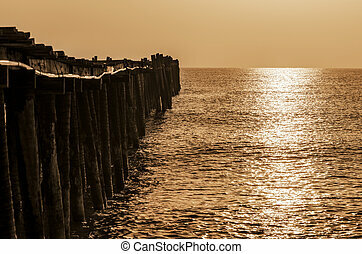 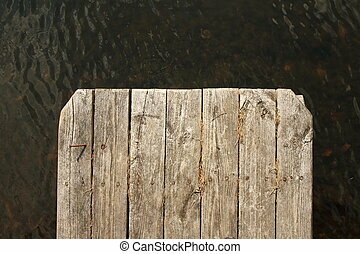 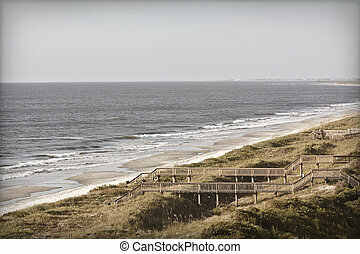 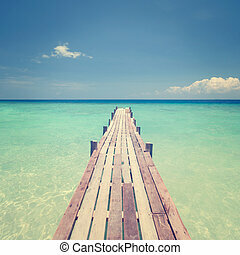 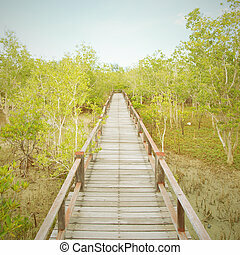 Pier wooden bridge towards sea, tropical island sea view in vintage style. 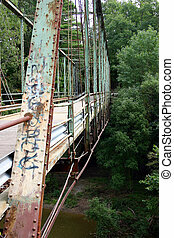 Not many cross this neglected rural bridge. 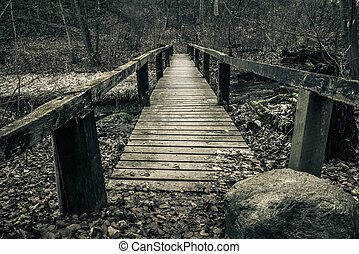 Old rural bridge that runs into the woods. 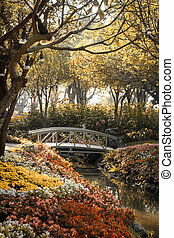 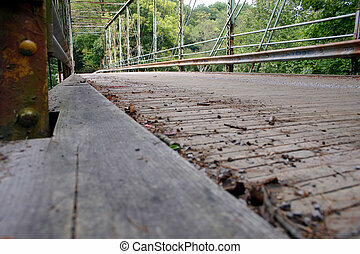 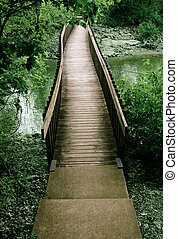 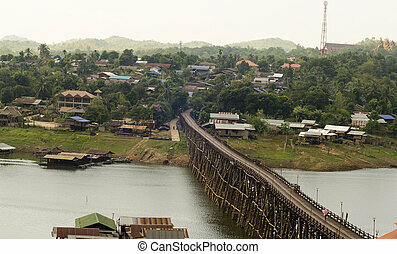 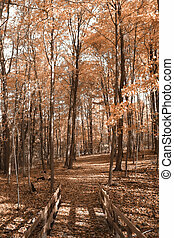 Brown wooden bridge through green scenery. 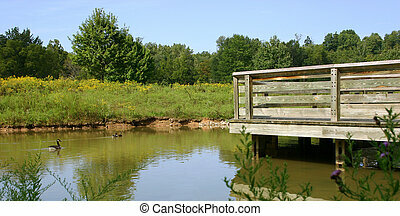 Geese swim in a pond near a wooden bridge in this idyllic setting. 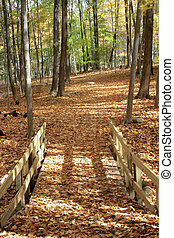 Fallen leaves cover a bridge and walking path. 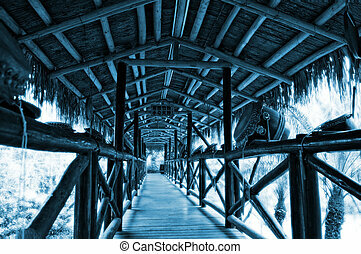 Beach photo with retro or vintage look. 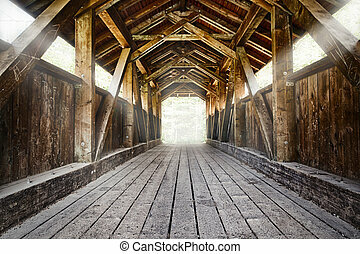 Can be aged even further. 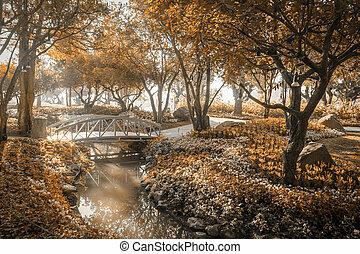 Stylized fall coloring (not quite a duotone) for a more unique look and feel.